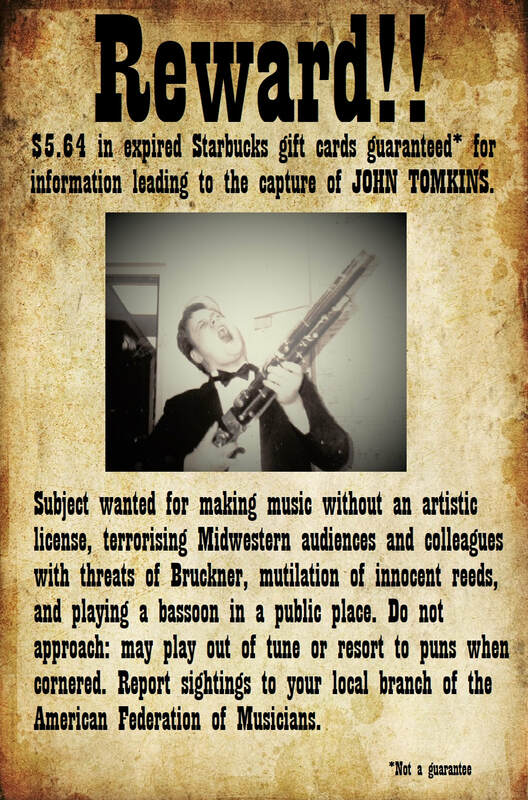 John Tomkins has had the honor to serve as the Principal Bassoon of the South Dakota Symphony Orchestra and Dakota Wind Quintet since 2002, and the Sioux City Symphony Orchestra since 2009. He has performed with the Omaha Symphony and Cleveland Pops Orchestra. Solo engagements include the South Dakota Symphony Orchestra, South Dakota Chamber Orchestra, Sioux City Symphony, and Northwest Iowa Symphony Orchestra. John has served as the Bassoon Instructor and a Chamber Music Coach for Augustana University since 2002, and maintains a private teaching studio. Mr. Tomkins received his B.A. from The Ohio State University in 2000, and M.M. from the Cleveland Institute of Music. John’s primary teachers include Joseph Hesseman, Christopher Weait, John Clouser, and Ron Phillips. Tomkins has attended a number of music festivals, including Kent/Blossom Music, Conductor’s Retreat at Medomak, The Festival-Institute at Round Top, The National Orchestral Institute, and Tanglewood Music Center.